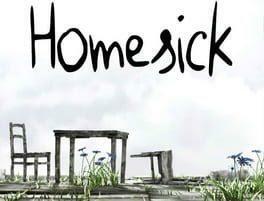 Homesick is an adventurous first person 3D puzzle game developed by indie game company Lucky Pause. Explore an abandoned building, encountering puzzles and clues as the story unfolds. You seem to have been there so long that direct sunlight is blindingly bright, at home in the serene but foreboding atmosphere. But when you sleep, you are plagued by nightmares, frantically running down hallways chased by darkness, an axe in hand. Find the remnants of the building's inhabitants to discover who you are, what happened, and what you need to do, as you try to escape in both your nightmares and the waking world. Homesick is a puzzle exploration mystery game with a first person perspective, in a richly detailed and atmospheric 3D environment. Incredible live-instrument original score included as an mp3 album. Homesick is available from 14.99 to 14.99 from 1 shops.